I had the pleasure of speaking with Eva Shockey, co-host of “Jim Shockey’s Hunting Adventures,” airing on the Outdoor Channel. I was pleasantly surprised to find that she is even more genuine in person than on television. The young huntress was filled with enthusiasm as she gave me some insight into her love of hunting and closeness of her family. Mia: What is your favorite memory of the past season’s filming? Eva: This year, at whitetail camp, we were in Saskatchewan. In the morning I shot a REALLY nice whitetail with my dad, which was wonderful. That evening, I sat with my grandpa Hal. He shot his whitetail. He dropped it and I started crying, I was so happy, and it was kind of overwhelming, because my dad was in the stand and my grandpa and me all together. I was so proud of him. It was my favorite day of the whole year. Mia: What hunting trip are you most looking forward to in 2013? Eva: I already have a few trips planned with my dad for 2013, that I’m very excited about. We’re planning to go back to South Africa for a few crazy critters, that only my dad would think of hunting, like brown hyena and honey badger. This summer we are headed “down under,” to Australia, for a month together as well. It will be my first time hunting there! Every year we take a trip up to the Yukon. It’s absolutely beautiful. When you get up there you have to take a float plane for two-and-a-half hours. They drop you off and then you’re pretty much out there for ten days. There are no showers. There is no running water. There is no noise. You’re as far from anything as you can imagine. You hike every day and you cook what you shoot or what you can find. You turn into these little rug rats from the bush. You go in and you’re together and you look okay, come out and you’re like, a total mess, but it’s my favorite week of the whole year because I’m with my dad. I’ll head out there with my dad in August for an early season hike for a week to look for Fanin sheep, high up in the mountains. I’ve never been on a sheep hunt before, so the idea of it is a bit petrifying, but I know that it will be a good experience and I’ll definitely get whipped into shape. My dad is one of the best mountain hikers I’ve ever seen, so I need to start training ASAP! Mia: What is your favorite female-specific hunting or shooting product or accessory? Eva: In general, one is the fact that they have a lot of women’s hunting clothes now. I wear so much Under Armor women’s hunting clothes. Where I live, people don’t hunt, so it’s not normal to wear camo. When I first started hunting and when I grew up I was always wearing men’s size small, which is not fit for a woman. So, now that they actually have girls’ stuff, it’s nice because I can feel comfortable. I can do all the hiking wearing clothes that I feel comfortable in. That is huge. I like some of the bows that Bowtech has out. They are kinda fun. They have girl colors on them. They make you feel like you still have the feminine part of you. It doesn’t matter, you can be as feminine as you want to and still love hunting. I am a total girly girl and I love to be out there hunting. I like the products they make that are girl sized and have a bit of a female flare to them. 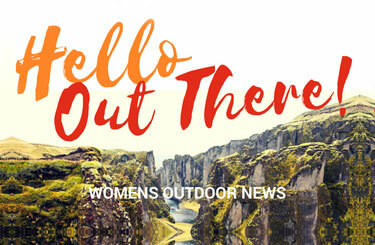 Mia: How do you feel you influence other ladies, especially young ladies, into the outdoors or shooting? I didn’t start hunting until I was 20 because my mom didn’t hunt. I was kind of like, “Well if I hunt, I won’t be feminine like my mom.” I took dancing and did all the girl stuff. When I was 20, I was old enough to realize that you can go hunting in the woods and put on camo and get dirty, and then you can shower and put on a dress and still be a lady. I found that I can do both and I am really proud of that. I love being in a dress and I love being in camo. A lot of girls come up to me and say that it was so nice to see that someone goes out and hunts and they still look like a girl and still care what they look like. A lot of the young girls and husbands with wives that never hunted say that they started hunting because of that. That is cool. The fact that I hunt with my dad a lot, there are a lot of father/daughters that come up to us and the girls say, or the fathers tell us, they started hunting because they watched us and wanted to do what we were doing. It is such a wonderful way to hunt, being with your father or grandfather or aunt or uncle or whoever it is, family member. It is nice to show people that it is an option and a lot of people are picking up on it. Mia: How do you feel about being able to hunt with your dad? Eva: I love it. Everyone always asks if he pushed me to hunt, and he didn’t. I was 20, and you can’t push a 20-year-old to do anything. I was just at the point where I wanted to try it because he traveled so much when I was younger. I really wanted to be closer with my dad because we didn’t have a lot in common. I decided I was going to start traveling and hunting with him, or at least try it. I tried it and I love it. I am so close with him now, that I miss him. I don’t remember ever missing, missing him before. When we go on a trip, and I leave I am like, “I miss my dad.” We have so much in common we can laugh for hours and hours and talk about everything now, because we have the same passion and same career. As far as someone to look up to and learn from, I can not imagine following anyone else.